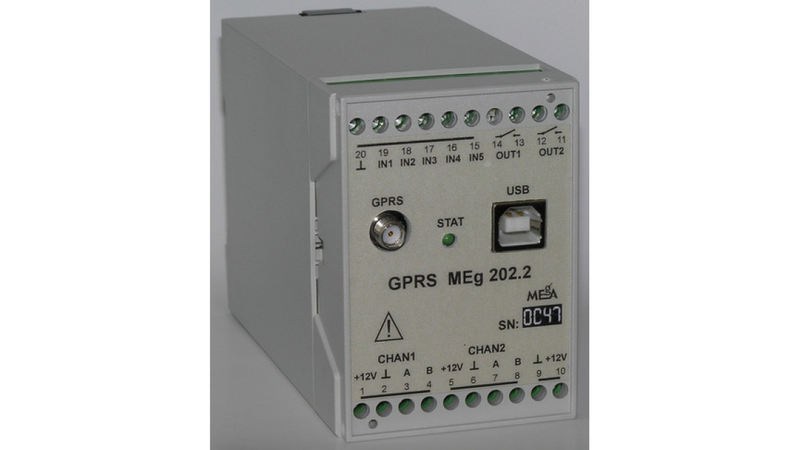 The communication unit GPRS MEg202.2 in its basic version provides remote transmission of states or state changes of binary inputs and commands through the GPRS mobile operator network. Measured values are transmitted from connected measuring devices through the serial communication line RS485. It implements the standardized communication protocol according to CSN EN 60870-5-104 and allows integration of connected devices into the SCADA system, either directly or through concentrators.